A change in partnership and business structure called for a new identity, without losing touch with a strong heritage for law practice Ball + Partners. 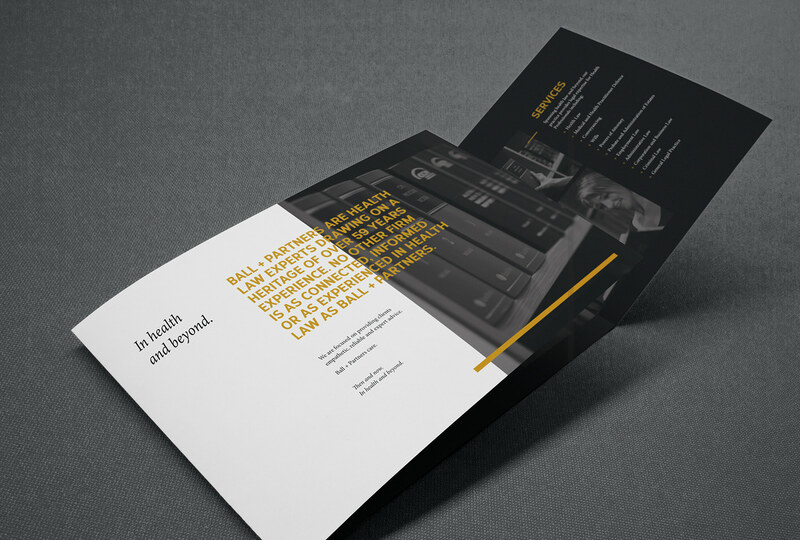 Drawing on over 59 years experience in the field of health law, Ball + Partners wanted to ensure this history was reflected in their new brand identity whilst creating a contemporary platform to develop their practice further into the future. Through a series of meetings with key business leaders, Grindstone undertook an analysis of Ball + Partners culture and strategic direction. 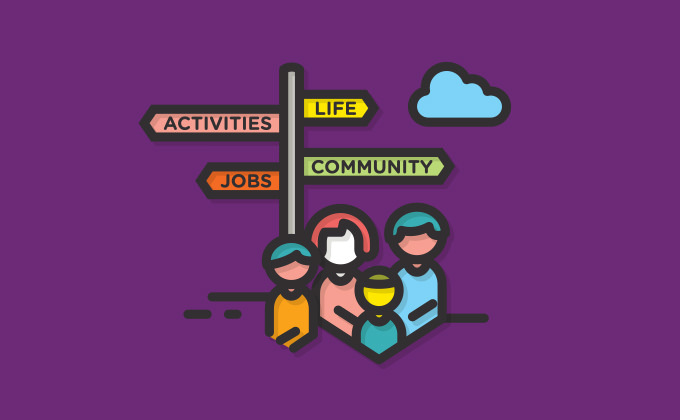 From there, a positioning platform was developed under the concept of ‘In Health + Beyond’, simultaneously speaking to the practice's established expertise in health law and desire to widen their service offering for the future. 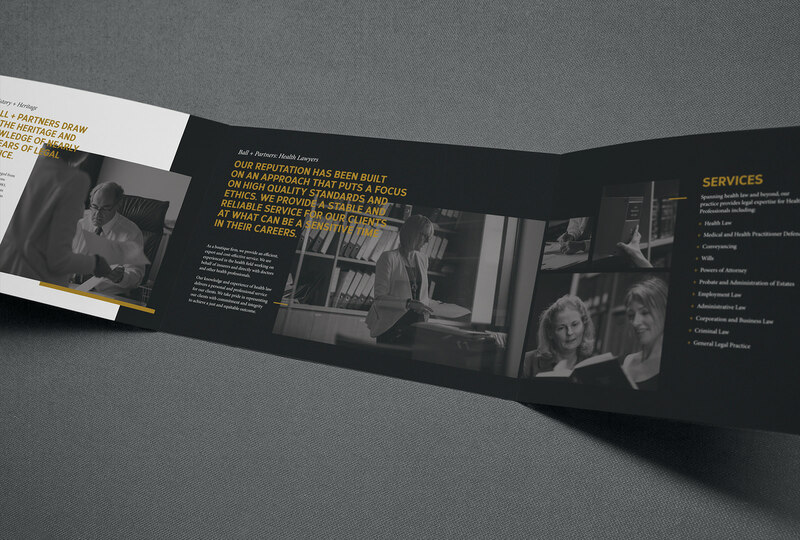 The contrast of the old and new, the history and potential of the business was the inspiration behind the brand identity created to be rolled out across a new website and stationery collateral. A restrained yet elegant monochromatic device was developed to reflect the quality of the Ball + Partners service offering, underpinned by a logo incorporating two typefaces representing the past and present of the practice. 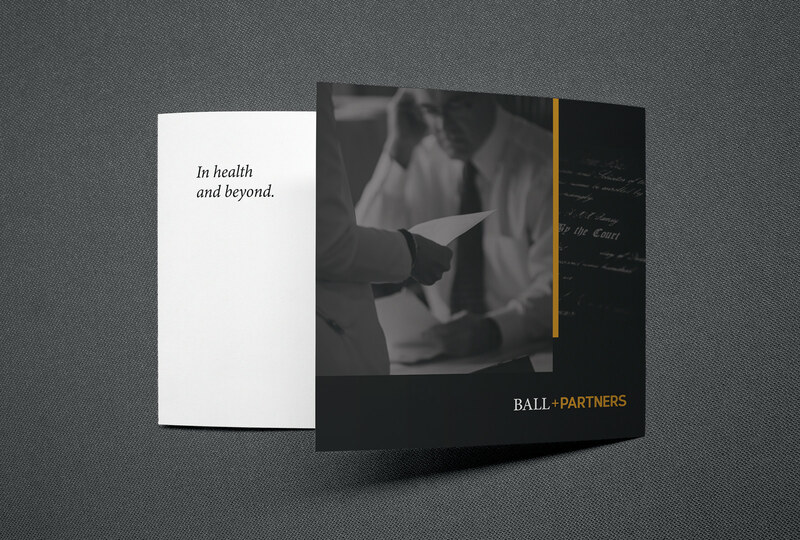 Grindstone developed the brand identity and style guide for the Ball + Partners business launch. This then informed the interface design of the website. 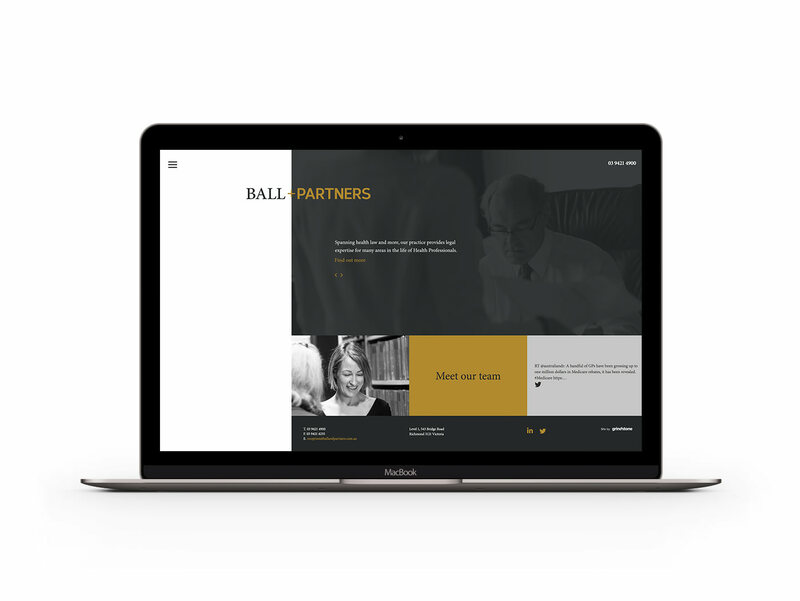 Ball + Partners placed a focus their people and their expertise, integrated into the site through Grindstone’s copywriting and content strategy. 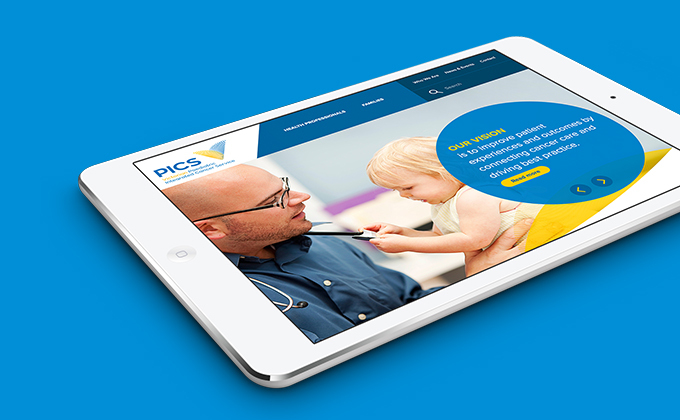 This also included the integration of a thought leadership blog and social media integration. 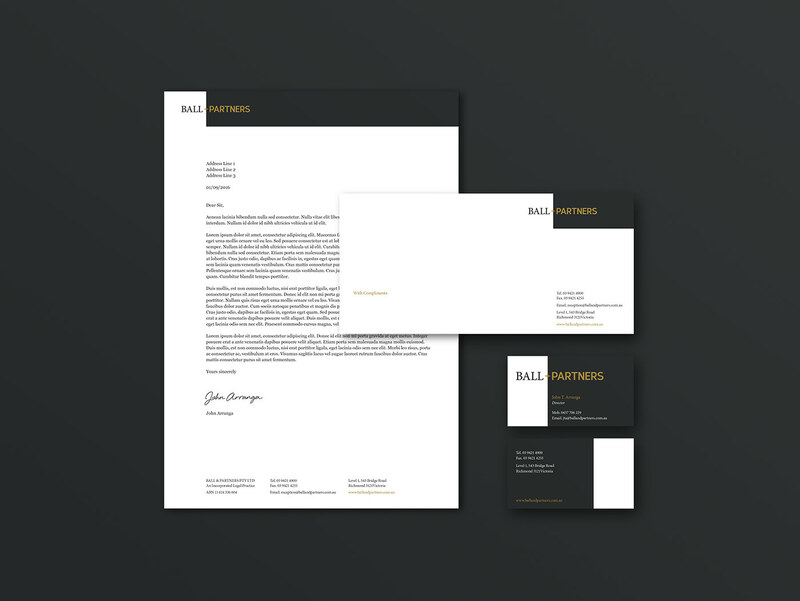 Grindstone also developed a full supporting range of corporate stationery including letterhead, business cards and brochures. 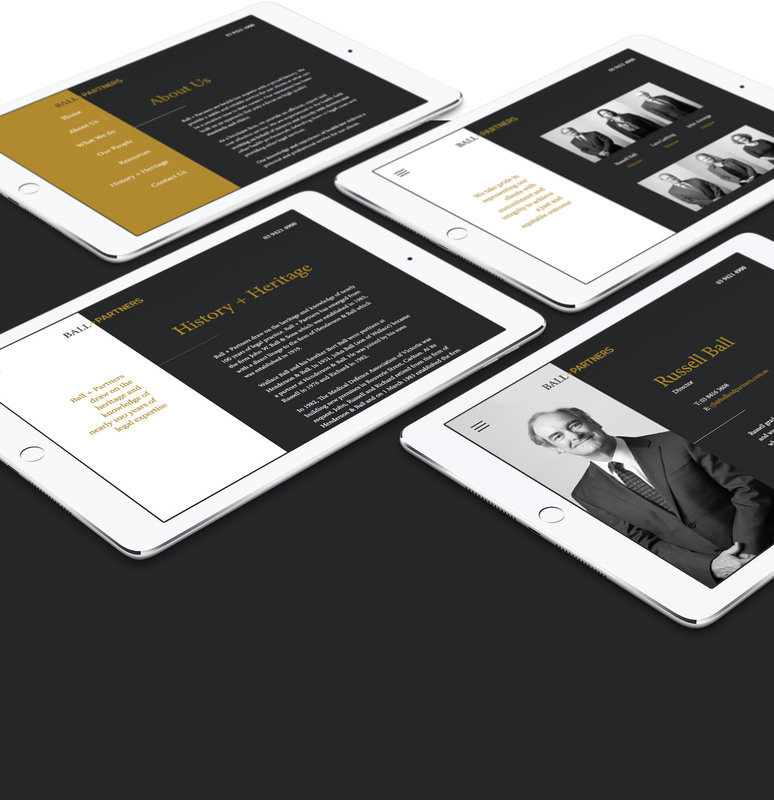 The contrast of old and new; the history and potential of the business was the inspiration behind the brand identity, to be rolled out across a new website and collateral.